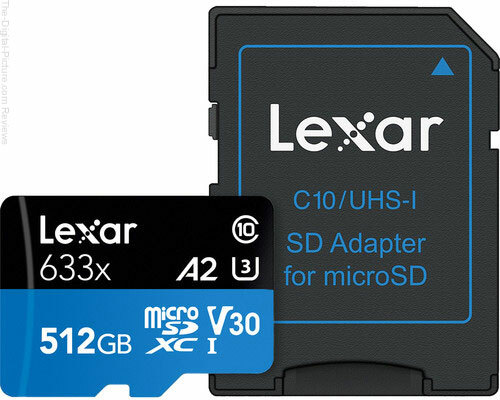 B&H has the Lexar 512GB 633x UHS-I microSDXC Memory Card with SD Adapter available for $99.95 with free expedited shipping. Compare at $129.99. 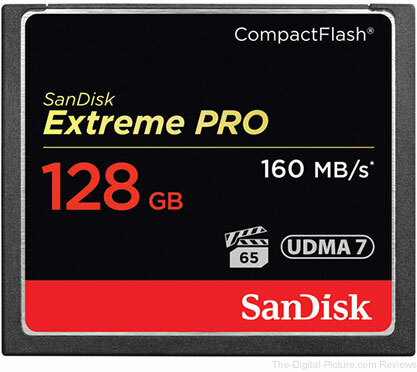 B&H has the SanDisk 128GB Extreme Pro CompactFlash Memory Card (160MB/s) available for $99.99 with free expedited shipping via the "Clip Coupon" feature. Compare at $116.99. 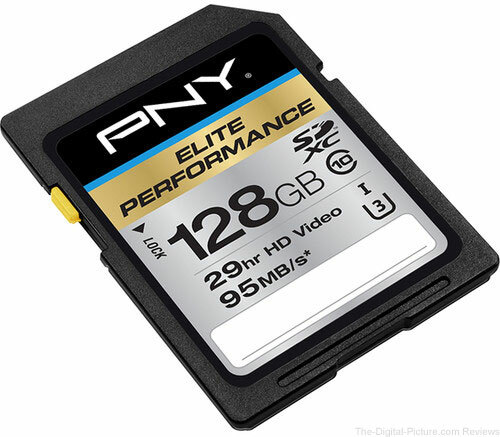 B&H has the PNY Technologies 128GB Elite Performance UHS-1 SDXC Memory Card (U3, Class 10) available for $27.99 with free shipping. Regularly $44.99. 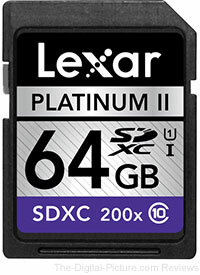 Amazon is featuring select Lexar SDHC/SDXC/microSD Memory Cards as its Gold Box Deal of the Day. Which SDHC Memory Card Case Should I Buy? 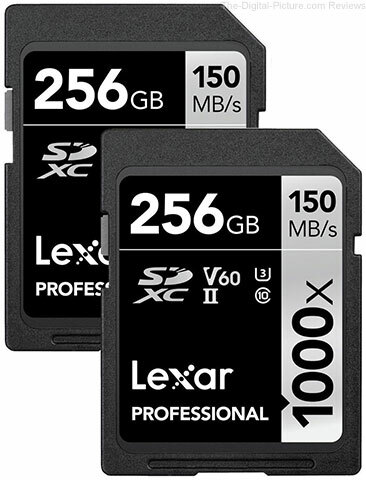 That became a pertinent question for me lately as the SDHC/SDXC memory cards I've most recently purchased came without the little plastic case included. While I think the manufacturers should include the inexpensive cases by default, none have yet asked me for my opinion. The other problem is that I've started to accumulate a variety of memory card case sizes that have become at least slightly annoying to deal with. I was looking for something very compact but wanted at least a little protection for the cards. My memory cards are usually kept in other cases or my pocket where they have an additional layer of protection afforded them. For me, the right solution was found on eBay. 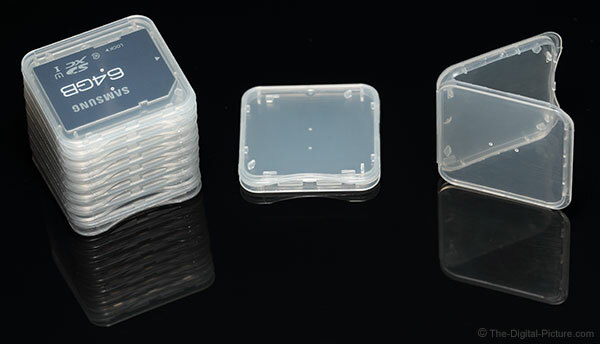 For $6.95 with free standard shipping, you get 10 small plastic cases just large enough to comfortably hold SDHC cards. I purchased two lots and now have all of my cards neatly stored in much less space than the pre-latest-purchased cards consumed. If you prefer the more protective, larger case size or if you need to store CompactFlash/CF cards, this eBay auction may have the cases you are looking for. Same seller and same price. For more rugged and larger capacity memory card cases, check out B&H's memory card case category. Notable entries include those from Ruggard, Pelican and Think Tank Photo. 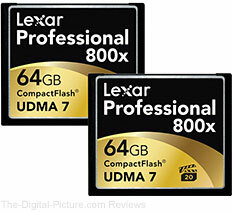 Permalink: Which SDHC Memory Card Case Should I Buy? Amazon is featuring Sony Secure Digital Memory Cards as its Gold Box Deal of the Day. 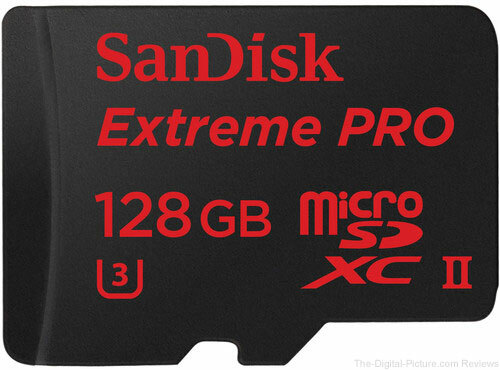 SanDisk 128GB Extreme PRO Compact Flash Memory Card - up to 100MB/sec write speed. Reg $849.00 - Special $819.00 shipped. Expires 2/29/12. 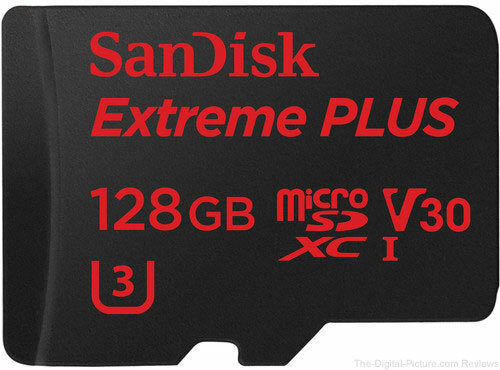 SanDisk 32GB Extreme Compact Flash Memory Card - Up to 60MB/S Read/Write, UDMA Enabled. Reg $159.95 - Now $119.95 shipped. 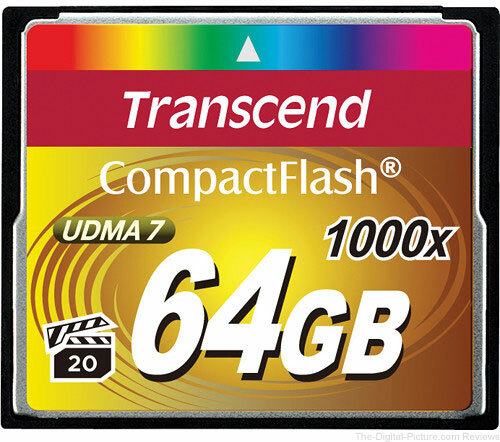 SanDisk 64GB Extreme Compact Flash Memory Card - Up to 60MB/S Read/Write, UDMA Enabled. New - available for preorder - $299.95 shipped. 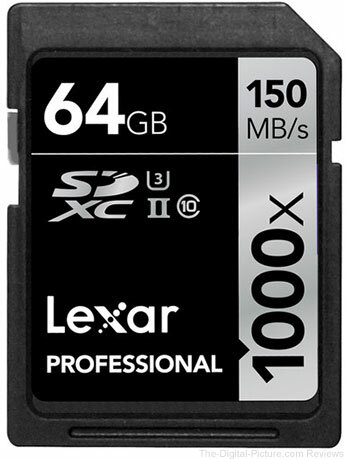 SanDisk 16GB Extreme Pro CF90 Compact Flash Memory Card. Reg $134.95 - Special $99.95 shipped. SanDisk 32GB Extreme Pro CF90 Compact Flash Memory Card. Reg $249.95 - Special $179.95 shipped.